Wagner Equipment Co. offers complete technology solutions that help maximize your productivity and profitability. 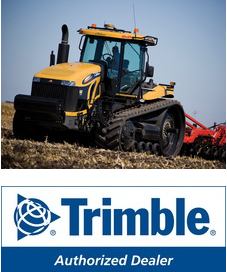 We provide a variety of Trimble Navigation and Caterpillar Accugrade guidance systems, both for sale and rent. No matter your industry, be it earthmoving, mining, or precision agricultural we have your solution. Contractors, miners, landfill operators, and farmers are discovering the competitive advantage that Wagner Technology Solutions provide. We not only represent the best systems available, but also provide the skilled support staff you need to deploy and maintain the right technology solution for your business. Wagner’s Technology Solutions group also offers remote machine condition monitoring solutions. These systems enable you to know where your assets are, while at the same time giving you insight into your machine’s health and operating conditions.